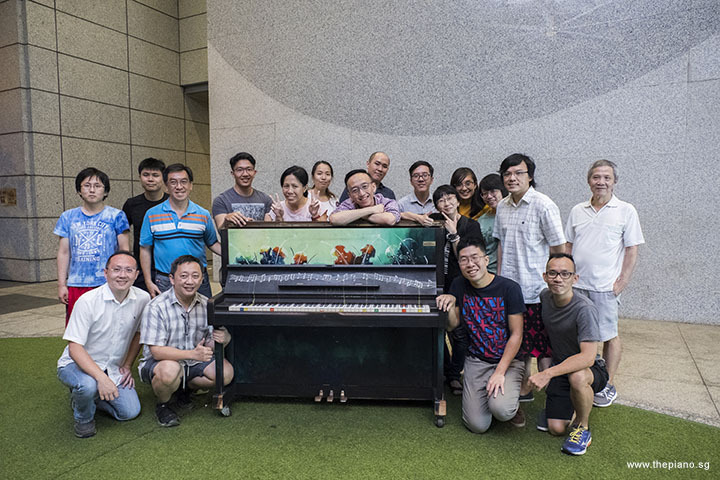 Since the last Pianovers Meetup, the group of Pianovers – the name affectionately given to piano lovers – had been looking forward to the next session. Therefore, it was with much anticipation that the group welcomed the next session on 15 July 2018. 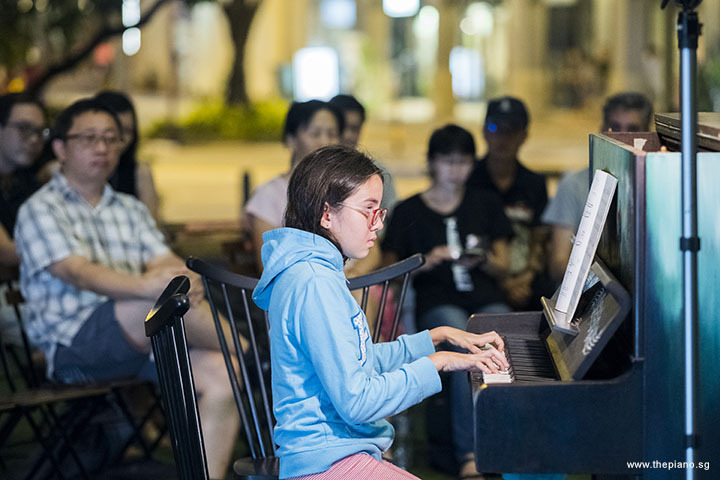 Each Sunday evening, Pianovers descend on Piano Park @ URA Centre to indulge in a delightful evening of music, sharing and bonding. 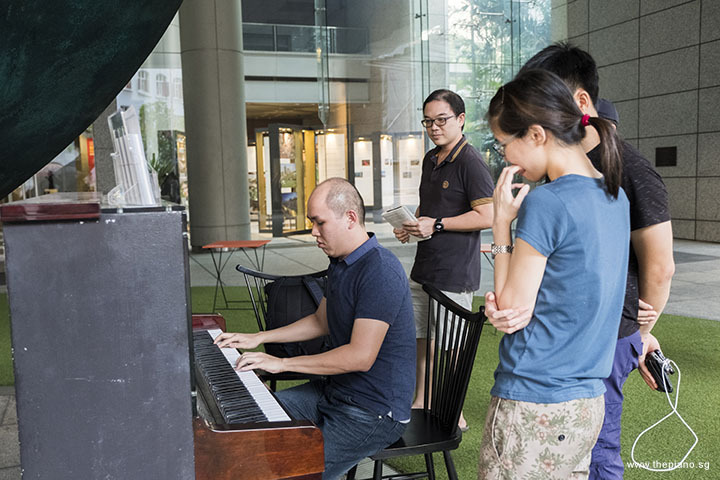 Indeed, since ThePiano.SG was founded by Sng Yong Meng, he has made it one of his missions to build a community of piano lovers in Singapore. 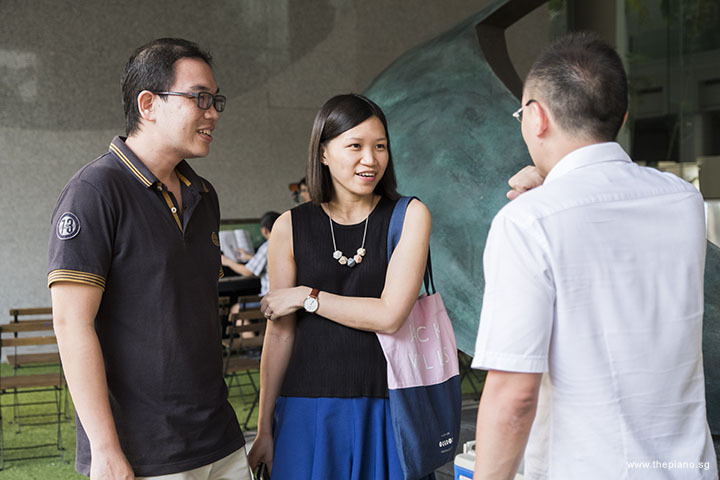 Apart from Pianovers Meetup, which is one of its flagship events, the company has also actively organised other events. 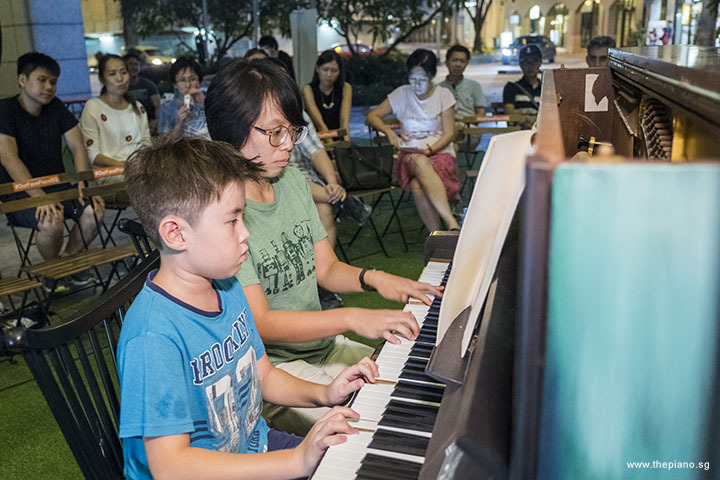 December 2016 saw the debut of Pianovers Sailaway, ThePiano.SG’s inaugural sailing event that saw participants sailing under the stars with four pianos on board a luxurious yacht. 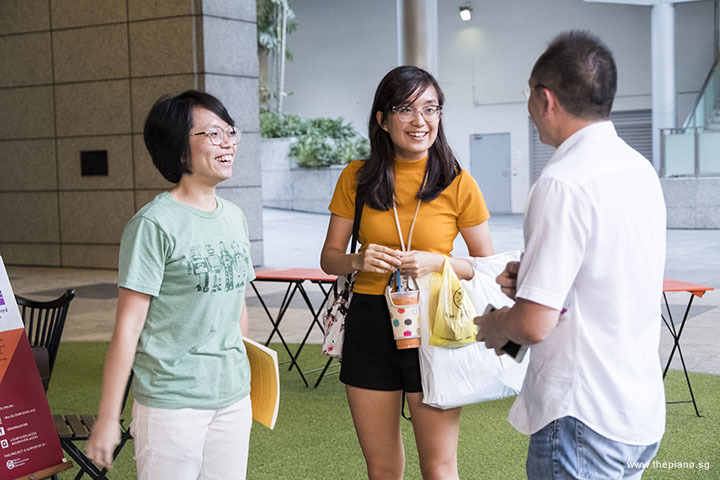 This event was repeated in July 2018 and again it saw overwhelming support. In June 2017, Pianovers were treated to an evening of food and music when they attended Pianovers Hours. This was an evening event held in a restaurant that housed an elegant, white Essex-designed grand piano. 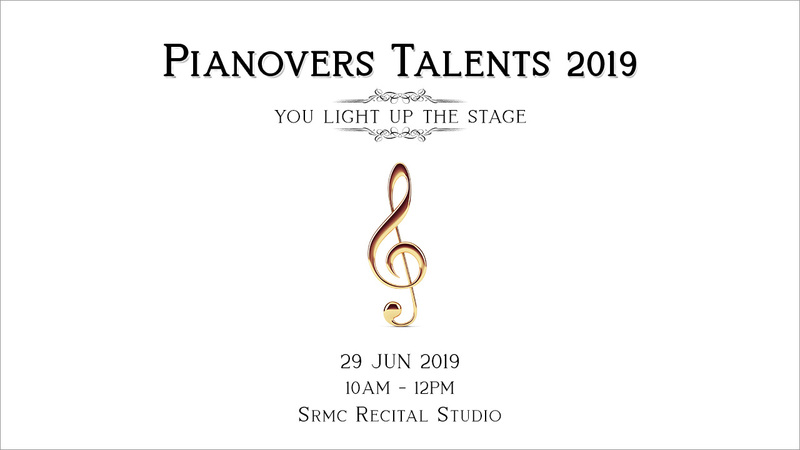 Then, in August 2017, Pianovers Recital saw Pianovers taking to the stage in an auditorium as they performed their best pieces for the audience. 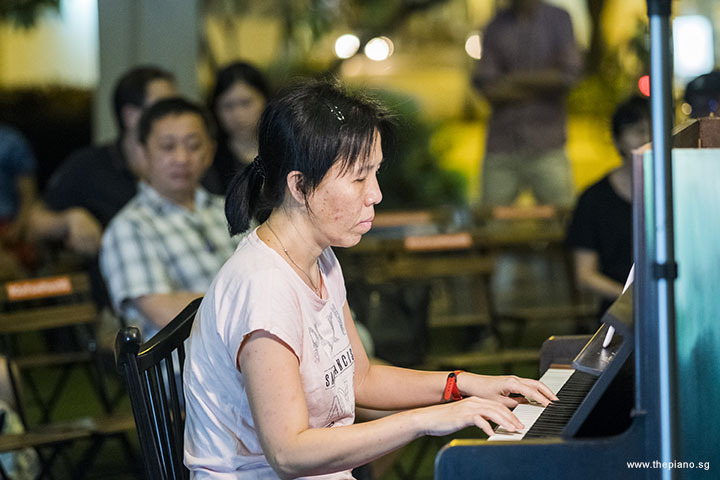 Many other events have been held since and they have served to bring together the community of piano lovers in Singapore. This evening, like in the preceding weeks, a group of Pianovers arrived early to take advantage of extra bonding over dinner. 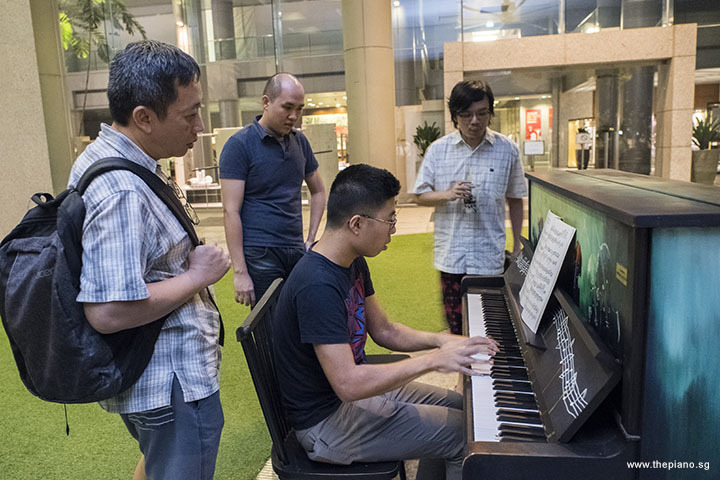 While the actual Pianovers Meetup starts at 6:30pm, the early birds usually arrive at 5:00pm. Together, they troop to the Maxwell Road Food Centre, where they enjoy delicious local chow. This was exactly what happened this very evening. Jeremy Chan, Janice and Hiro joined Yong Meng for what would be a wonderful dinner and chit chat. It was interesting that this small dinner party alone had people of different nationalities and backgrounds! 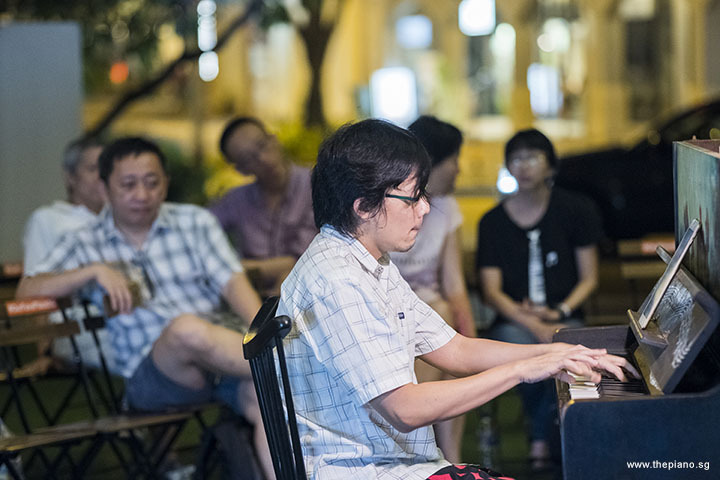 Music transcends borders and Pianovers Meetups bond people with a common love for music! 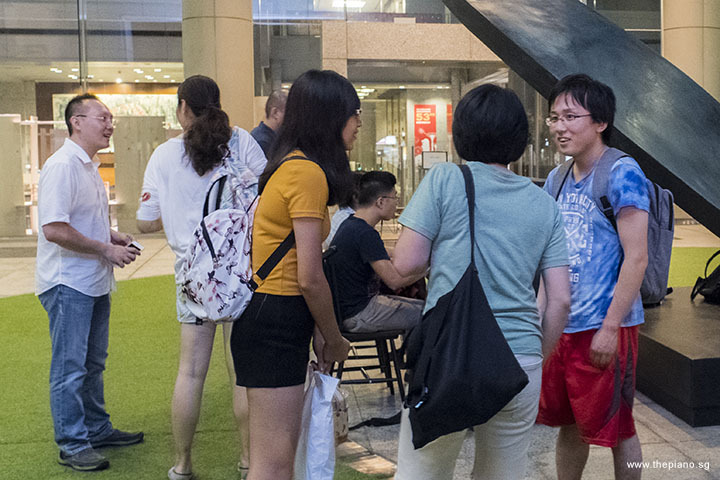 When everyone had gathered, Yong Meng made an announcement for the upcoming Popup Stall @ Suntec City, that will happen on 21-22 July 2018 at Suntec Exhibition Hall 404. 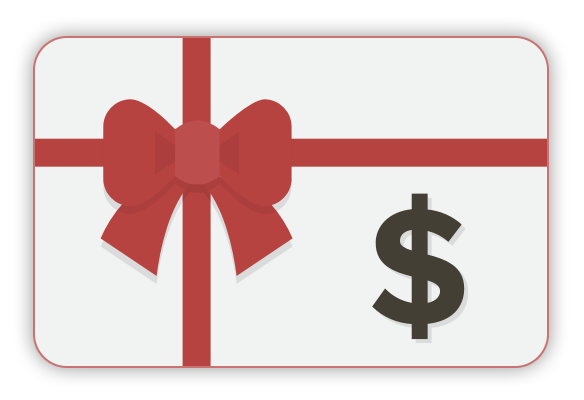 Do visit to say Hello and show your support! 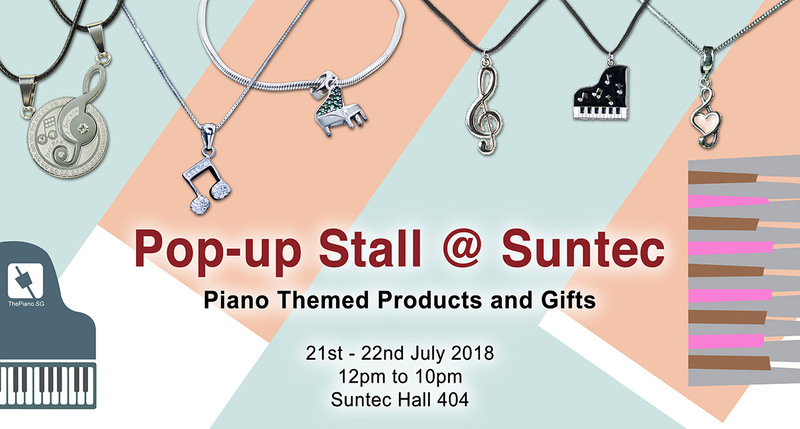 ThePiano.SG will showcase its wide range of piano-themed products and gifts, comprising fashion accessories, stationery and tableware. 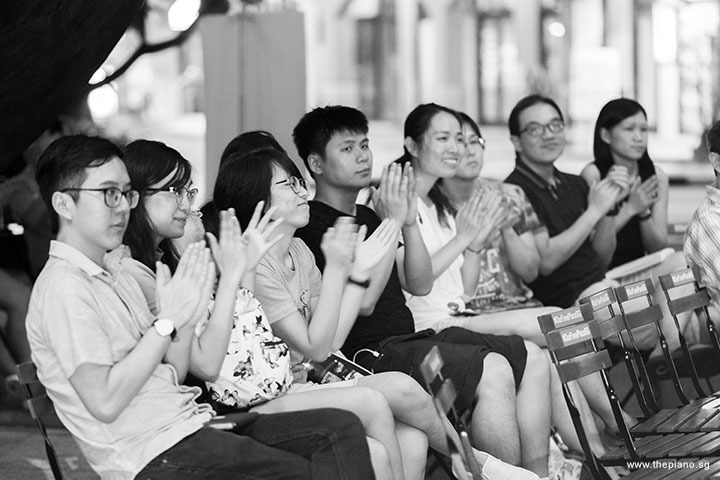 When the programme proper started, the first segment was the Mini-Recital. This is a section where pre-registered piano players went up to one of the pianos to perform. Starting the Mini-Recital was Teik Lee, who played Nobody by Park Jin Young and Beautiful by Crush. "Nobody" was a song released in 2008 and performed by South Korean girl group Wonder Girls. A “live” performance video of "Nobody" at M! Countdown became the most viewed K-pop video on YouTube. It was also the first K-pop video to hit 50 million views on the platform. In 2014, it was also used in the film "Penguins of Madagascar". Going up to the piano next was Gavin, who performed 遗憾 by 陈佳明, a Singaporean songwriter who is dubbed as our local version of 李宗盛 from Taiwan. 遗憾 is originally performed by 许美静, and is one of her signature pieces. Moreover, it became so popular that it attracted many cover versions from various singers. Most of you might be familiar with "城裡的月光" which is also by 陈佳明 and 许美静. Siew Tin was up at the piano next. 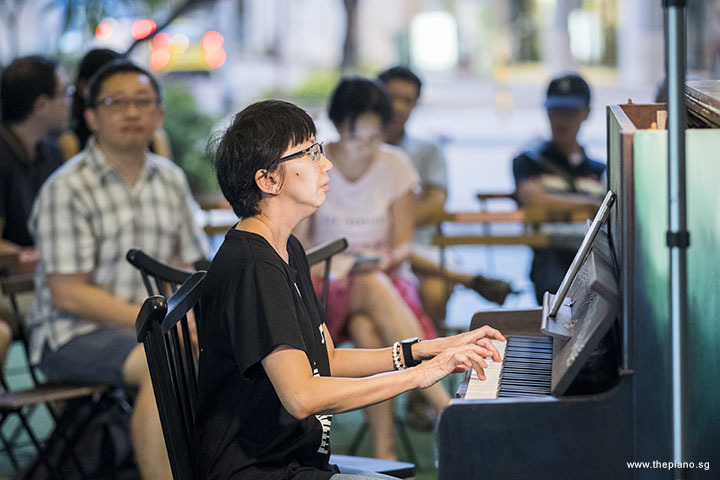 She performed 当你孤单你会想起谁 by 施盈伟, which was first performed by 新少年俱乐部, and later covered by 张栋梁, whom most people come to associate the song with. Tracing back, 新少年俱乐部 was formed about the same time as Taiwanese boy band 小虎队, and sadly, was disbanded in 1994. 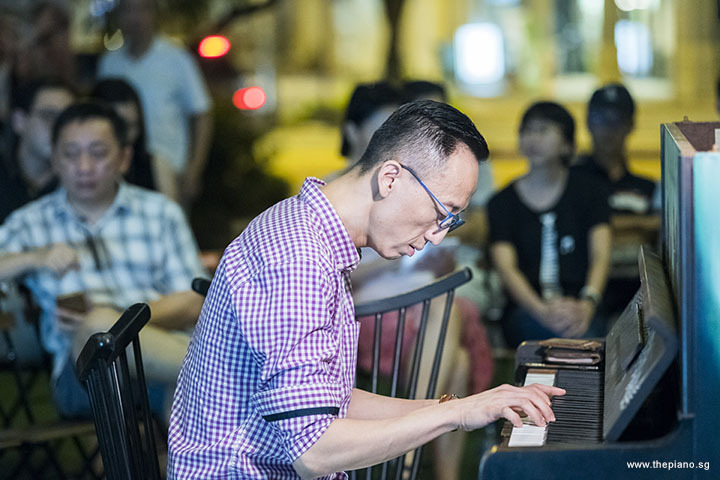 Albert played 偏偏喜欢你 by 陈百强, one of the first generation of pop idols in Hong Kong. This song won the 1983 Golden Song Award in Hong Kong. 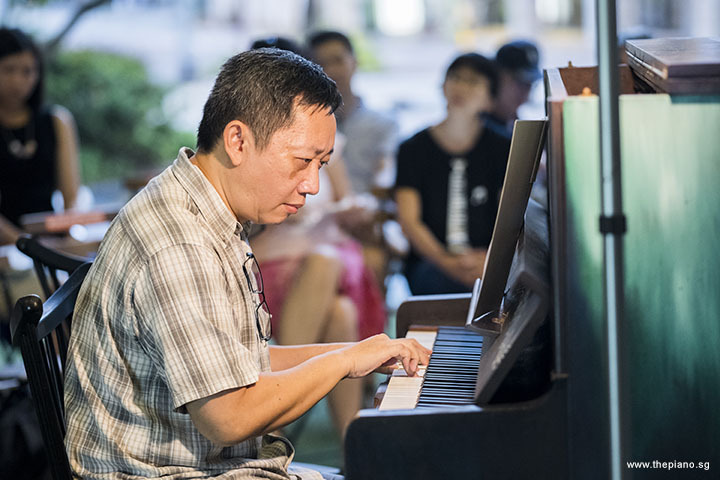 陈百强 is recognised for his contribution in the genre of Cantopop romance ballads and high-quality compositions. Although he was a talented person, 陈百强 unfortunately suffered from advanced brain damage, went into a coma and died at the age of 35 in October 1983. The cause of the brain damage was speculated as an accidental mixing of alcohol with medicine. 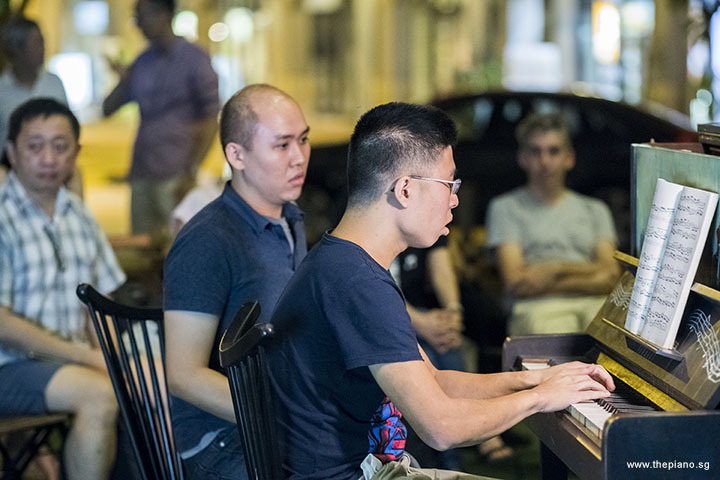 Lucas McCallum played his rendition of Haunted House by Willard A. Palmer, as well as Habanera (from Carmen) by Georges Bizet with his piano teacher, Chng Jia Hui, as a duet. The latter is one of the most famous arias from Georges Bizet's 1875 opera "Carmen", and was used in Act 1 when Carmen danced in front of a group of soldiers that Don José was part of. The music was adapted from El Arreglito, however, which was originally composed by Spanish musician Sebastián Iradier. When Bizet heard this piece, he mistook it to be a folk song. Thus, when he was informed that this had been written by an earlier composer, he gave due credit to Iradier. Lauren Cameron came up to the piano next. Lauren is the sister of Lucas, who had played earlier. She performed Waltz in A, J. 146 by Carl Maria von Weber. This composition is compiled in the ABRSM 2017-2018 Grade 5 syllabus. 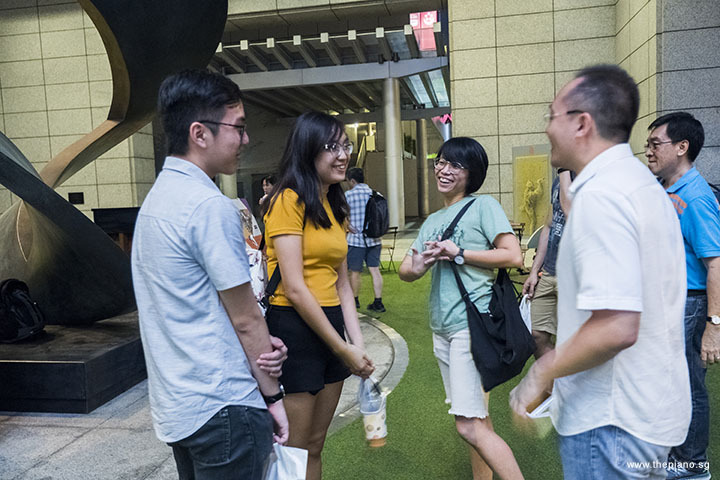 Lauren last visited Pianovers Meetup during its #44 instalment (July 2017). It is good to see her back and we are happy to know that she’s still learning the piano! Linnette Chua delighted us with a piece from JS Bach. She played Gigue: seventh movement from French Suite No. 5 in G, BWV 816, which is compiled in the ABRSM 2017-2018 Grade 8 syllabus. Lucas, Lauren and Linnette, are students of Chng Jia Hui, our Pianover and teacher. 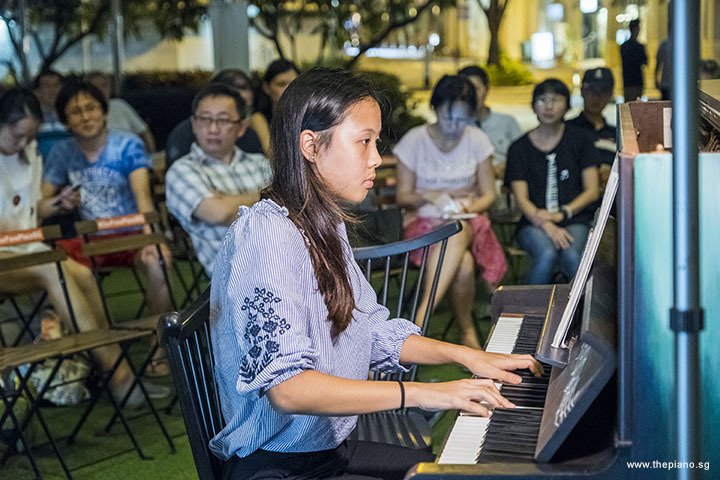 Jia Hui had brought her students along to let them experience what it is like to play out of the classroom. It is always helpful to gain real-world exposure and learn things beyond the immediate learning environment! The trip was also made to allow them to build their confidence before their upcoming examination. Great to see Jia Hui actively grooming her students into tomorrow’s players! All the best to Lucas, Lauren and Linnette, for your examinations! Fei Dong played "Prelude and Fugue in F# minor, WTC I, No. 14, BWV 859". The Well-Tempered Clavier, BWV 846–893, comprises two sets of preludes and fugues in all 24 major and minor keys. The name of the compilation, The Well-Tempered Clavier, seems to suggest that Bach had written the pieces for a well-tempered tuning system. This is known as "circular temperament" in musical terms. To the layman, this means that all the keys are sounded in tune. The opposite of the well-tempered tuning system is meantone temperament. In this system, the notes are played with many accidentals sound out of tune. Jeremy Foo delighted the crowd tonight with Fugue in F minor, WTC II, No. 12, BWV 881. Last week, Jeremy played the Prelude of this piece of work. Today he performed the Fugue. Recently, we have seen many Pianovers playing Bach's Preludes and Fugues. 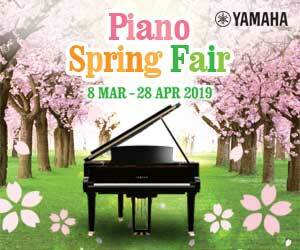 It would be interesting to see all 48 Preludes and Fugues played by our piano community. Currently, 3% of the 1,700 public performances by our Pianovers are Bach's compositions. Let’s go ahead and play the pieces and complete the set! May Ling, one of our regular Pianovers, played three pieces tonight. The first was Isn't She Lovely by Stevie Wonder. This piece is from his 1976 album, "Songs in the Key of Life". It is a fusion of jazz and pop elements and is meant to celebrate the birth of his daughter, Aisha. This song received prominence when Wonder performed it “live” for Queen Elizabeth II at her Diamond Jubilee Concert on June 4, 2012. This song had its lyrics modified to refer to the Queen. 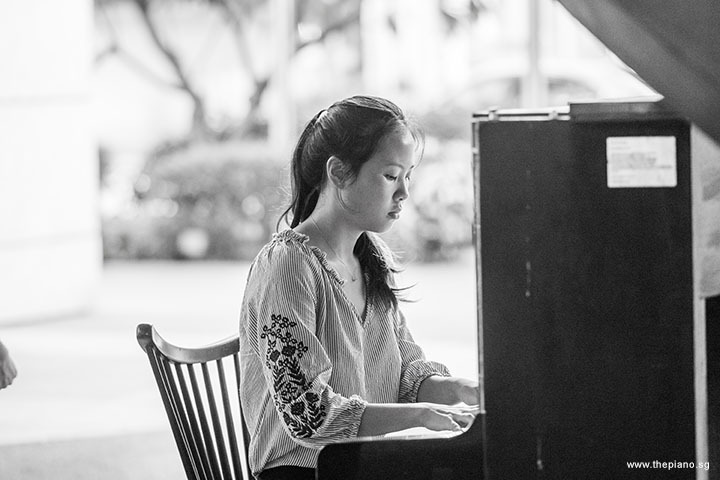 May Ling completed her performance with You Are So Beautiful by Billy Preston and Bruce Fisher, as well as The Final Countdown by Joey Tempest. 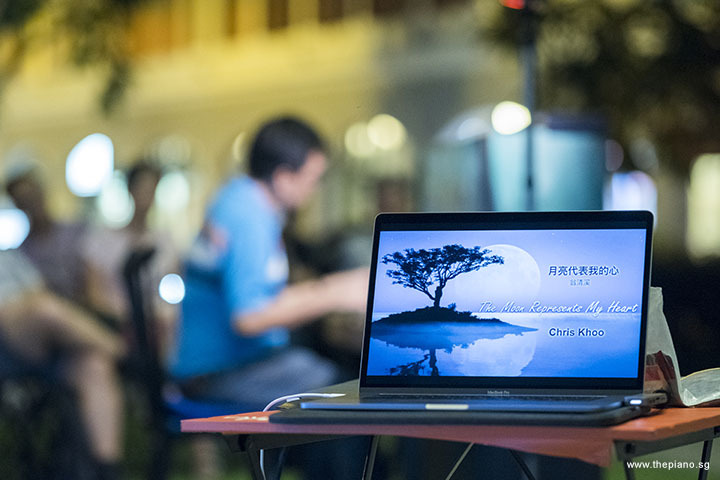 Chris Khoo played 月亮代表我的心 (The Moon Represents My Heart) by 翁清溪. Under the old Communist China's rules, foreign music was not allowed into the country for a long time. This changed in in the late 1970s when the country adopted an Open Door Policy. 月亮代表我的心 became one of the first popular foreign songs (called gangtai songs) in the country under the new Open Door Policy. This song represented a stark contrast to the songs prevalent before the Open Doors Policy was instituted (the existing songs were often revolutionary songs). Teresa was honoured to have been given the opportunity to perform in China. However, she unfortunately died of an asthma attack in 1995. The final player for tonight was Teh Yuqing. Yuqing performed Etude, Op. 10, No. 3 (Tristesse). Composed in 1832, Chopin himself believed the melody to be his most beautiful one. "Tristesse" (which means sadness), however, was not named by him, but by music critics in the later years. 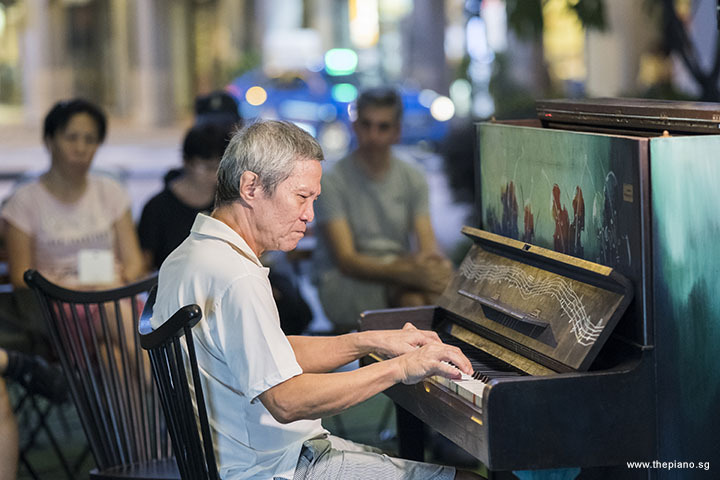 The last item on the agenda this evening was the Open Segment, where Pianovers excitedly jammed on the pianos, and took the time to connect with each other, and enjoy the evening thoroughly. Some Pianovers even continued to stay on well beyond 10pm, chatting and playing the piano. We had all had another fun and enjoyable Pianovers Meetup!